Thanks to the jailbreak community with hackers and jailbreakers those who work for public reveals, the recent we captured recorded as iOS 11.3.1. It was just a few days ago that Apple released to the audience after 11.3 as its successor. Since it noted as a minor version, unlike the previous, there are no more than few security updates and fixes behind. However, our narration is not just about its official frame. So it is going to cover everything recent about jailbreak iOS 11.3.1 which recently glamour KeenLab with an intense demonstration during a tech occurrence. Here we go. So as we clarified, it was the KeenLab with their dedicated research result at this time. Thankfully, we are capable to grab details regarding its performance that even showcased downloaded Cydia as well. However, the demonstrate is worthy at this time for iOS 11.3.1 is the most recent update of the operating system and even it arrived when there is nothing after a long. Being a minor arrangement, 11.3.1 has not that further clarifications on the web from the very beginning. But there is no doubt that this news will expose it even for jailbreakers to stay tuned with. Anyhow, it was the newfangled iPhone X that applied the breakout which functioning 11.3.1. As proved by photographs, download Cydia was perfectly loaded. For it is recent and there are a few previous non-jailbreak episodes as well, we guess that jailbreak iOS 11.3.1 will not capable to encounter that soon. We will have to gradually pass each chapter with respective breakouts. The demonstration was done during InfiltrateCon of the year 2018 by the member Liang Chen of KeenLab. So there is no doubt that the used iPhone X was completely become jailbroken. Which will be the next jailbreak? As it was KeenLab as a researcher and not as a hacker behind public jailbreak releases, there is a doubt will they effort for a public reveal. As experts clarified, they will not as usual and will have to put the responsibility on a shoulder of some other jailbreaker who would like to stand for. And for we can concern their records thus far, there was not any single publication to the audience although proclaimed vulnerabilities and uses. Since those older teams such as Evasion, Taig and Pangu are not there behind publications it will be someone new from the community at this time too. As it appears, CoolStar or Jonathan Levin will not stand for any higher. 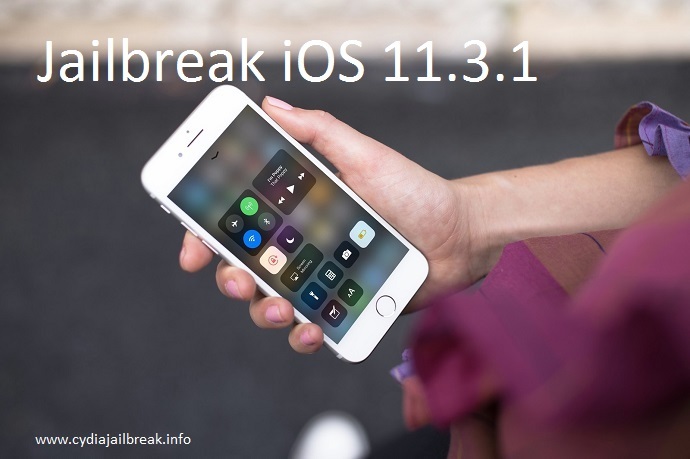 As even Electra is the only which we can encounter as a complete jailbreak approach during the entire eleventh iOS story, there is a demand of another to cover all those non-jailbreak iOS 11.2 – iOS 11.3.1. With few considerations that we clarified, you will be capable to realize how difficult it is to remain for the new jailbreak iOS 11.3.1. But rather than capture fake directions, remain for true and reliable facts are important. So stay tuned for further updates. What’s new with Cydia download iOS 11.3.1?